Team CONSERVE at Maryland Day 2018! 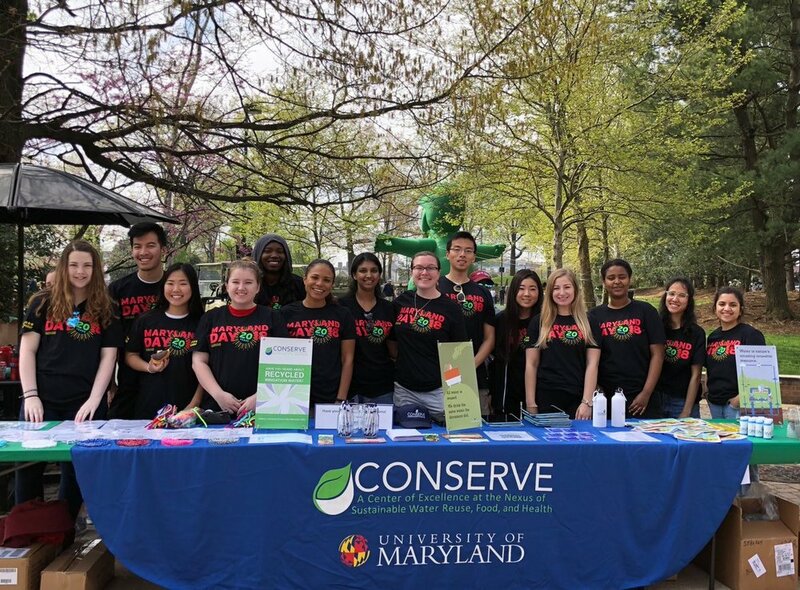 The CONSERVE team had a table at Maryland Day 2018 held at the University of Maryland campus on April 28th. 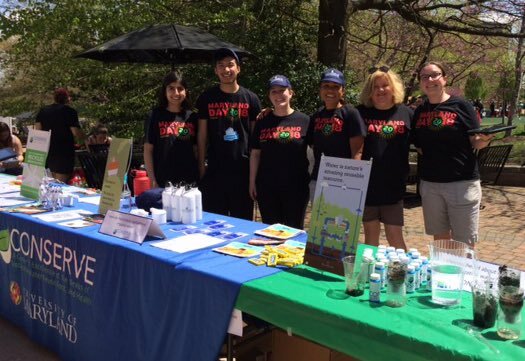 We conducted surveys on consumer perceptions of food safety, made bead bracelets with kids to learn about the water cycle, had a cool water filtration experiment and gave out tons of awesome CONSERVE swag. We even had some help from Testudo! Thanks to all our hard-working volunteers who made the day a success. Dr. Sadhana Ravishankar, CONSERVE Co-Project Director at The University of Arizona, is part of a team of seven institutions that received a grant from U.S. Department of Agriculture NIFA to produce safer melons that do not harbor harmful bacteria while also improving smell and taste of the fruit. Congrats to Dr. Ravishankar her team! Sadhana Ravishankar, left, looks at biofilms displayed by Aishwarya Rao, a research analyst, at the University of Arizona. Title: Irrigation with Reclaimed Wastewater: New Source of Water or Emerging problem? Synopsis:Fresh water scarcity has led to increased use of treated wastewater as an alternative source for crop irrigation. Concerns have been raised regarding pharmaceutical exposure via treated wastewater. In our recent work, we demonstrated that active pharmaceuticals are introduced to arable land via irrigation water. Moreover, we showed that some pharmaceuticals can be taken up and accumulated in edible parts of plants. Our studies aimed to assess whether carbamazepine, an anticonvulsant drug highly persistent in wastewater, is present in commercially available treated wastewater-irrigated produce, and whether human exposure to carbamazepine occurs via ingestion of this produce. In this study we follow the exposure path: wastewater Þirrigation water Þ soil Þ crops Þ consumers. Using volunteer cohorts in a single blind crossover trial, carbamazepine and metabolite levels were measured in produce and human urine. Our findings indicated that following seven days of consuming treated wastewater irrigated-produce all volunteers exhibited quantifiable levels of carbamazepine, while in a cohort of volunteers who consumed fresh water irrigated-produce, the distribution remained unchanged from baseline (between group P<0.001). Urine levels of the cohort that consumed consuming treated wastewater irrigated-produce for seven days were found to return to baseline following the exposure periods. This study demonstrates "proof of concept" that human exposure to pharmaceuticals occurs through ingestion of commercially available treated wastewater-irrigated produce, providing data that could guide policy and risk assessments. CONSERVE announces our first feature animation: "Water, Food, and Our World"
converse with CONSERVE - CONSERVE TURNS 2! It's March 1, 2018, marking the start of Year 3 for CONSERVE: A Center of Excellence at the Nexus of Sustainable Water Reuse, Food, and Health (funded by the United States Department of Agriculture-National Institute of Food and Agriculture). CONSERVE's ongoing research, education, and extension efforts support our goal of facilitating the adoption of transformative on-farm treatment solutions that enable the safe use of nontraditional irrigation water on food crops, effectively reducing the nation’s agricultural water challenges that are exacerbated by climate change. 2,313 wastewater discharging facilities were mapped on our GIS platform that focuses on characterizing the availability of nontraditional irrigation water sources in Arizona, California, Delaware and Maryland. 1,812 individual nontraditional irrigation water samples were collected in the Mid-Atlantic and Southwest and tested for all CONSERVE microbiological, physical and chemical water quality parameters including: pH; oxidation reduction potential; turbidity; conductivity; temperature; dissolved oxygen; salinity; nitrate nitrogen; chloride; antimicrobials; caffeine; pesticides; total bacterial diversity; indicator bacteria; and bacterial, viral and protozoa pathogens. All water samples were managed by the Data Core’s state-of-the-art Laboratory Information Management System (LIMS) that was custom-designed for CONSERVE. 802 growers completed our needs assessment that was administered throughout the Mid-Atlantic and Southwest. This work will help address an important knowledge gap regarding farmers’ views and concerns relating to nontraditional water used to irrigate food crops eaten raw. 2 animations and 1 online video tool are in development to expose K-12 students and the public to concepts relating to agricultural water reuse--stay tuned for the upcoming release of Water, Food, and Our World. CONSERVE "Core-dinating" with core facilities to maximize cost-effectiveness, and reduce redundancies. Three state-of-the-art, centralized cores serve as the bedrock of CONSERVE: the Laboratory Core (Lead: Amir Sapkota), Data Management and Analysis Core (Lead: Mihai Pop), and Administrative Core (Lead: Debra Weinstein). These three cores, all based at the University of Maryland, College Park, interface with all of the CONSERVE Activity Teams to streamline efforts as well as maintain the rigorous approaches that substantiate CONSERVE data. The ability to reliably identify and measure trace-level antibiotics, pesticides, and other environmental contaminants in water has important societal benefits. To maximize coordination and cost-effectiveness with regard to the lab methods that require in-depth analyses and are prone to inter-lab variability, isotope dilution liquid chromatography tandem mass spectrometry (ID-LC-MS/MS) methods and next-generation sequencing methods are carried out on samples collected from all sites in our Laboratory Core. The Laboratory Core is directed by Dr. Amir Sapkota, who has extensive experience managing the analysis of environmental samples collected from multiple regions worldwide. The Lab Core is based in Dr. Sapkota’s Exposome Facility at the University of Maryland School of Public Health, which is fully equipped for processing and analyzing large numbers of environmental and human clinical samples for the low-level detection of chemical contaminants. Performs 16S rRNA (Illumina Miseq) and metagenomics (Illumina Hiseq) sequencing analyses on the same environmental samples. To date, the Exposome Small Molecule Core Facility has been developing highly sensitive isotope dilution liquid chromatography tandem mass spectrometry (ID-LC-MS/MS) for the detection and quantitation of 17 pharmaceuticals, personal care products, and pesticides. This robust, sensitive, and specific ID-LC-MS/MS method is allowing us to detect target compounds to the femtogram per milliliter range. 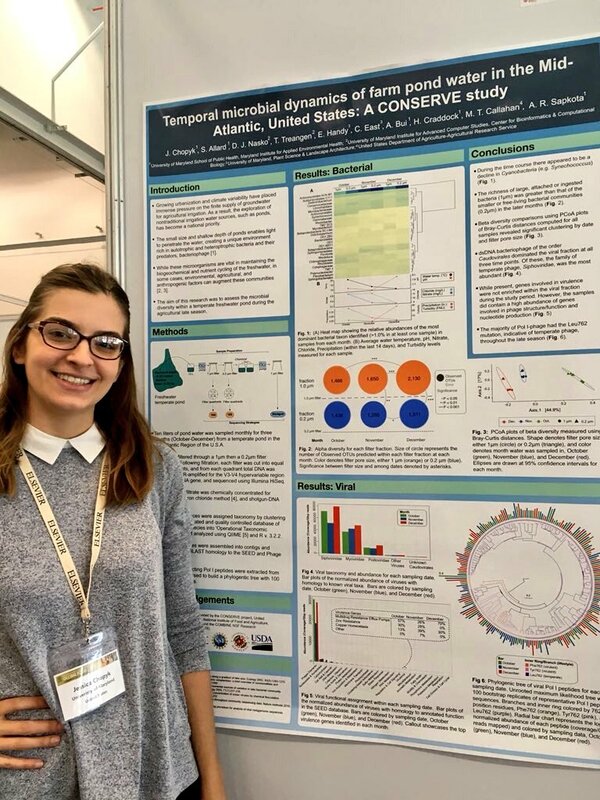 In addition to the high level our 16S rRNA and metagenomics sequencing analyses on the same environmental samples are revealling the overall microbial quality of nontraditional irrigation water sources to determine how that impact agriculture. The Lab Core is also working on the whole genome shotgun sequencing and Bioinformatics analysis of individual samples to characterize the microbial community (bacteria, virus, fungi, protists) and associated antimicrobial resistance and virulence genes among nontraditional irrigation water sources. Conducts data analyses with Core personnel providing statistical support to all projects and coordinating integrative data analyses that span multiple projects. The Data Core activities build upon an extensive computational infrastructure available through the UMD Institute for Advanced Computer Studies (UMIACS) and our extensive expertise in data management, analysis, and visualization. The Data Core has established a state-of-the-art laboratory information management system (LIMS) system in order to match the requirements of the sampling team and is developing data dictionaries and collection spreadsheets allowing data generated in the project to be included into a unified database. Coordinates project integration by organizing programmatic meetings and conference calls; the CONSERVE Summer Internship Program (SIP); and evaluation activities CONSERVE Advisory Committee and individual collaborators. The Administrative Core also maintains the CONSERVE social media outlets, including the website, conservewaterforfood.org, Facebook, and Twitter postings as well as producing the quarterly newsletter “converse with CONSERVE”. We continue efforts to develop partnerships that will help with CONSERVE sustainability. CONSERVE has a new public calendar that highlights events hosted by CONSERVE team members or events at which team members will be presenting/exhibiting. For any questions concerning the seminar or the speaker, Contact Debra Weinstein, CONSERVE Project Manager, debbie@umd.edu. 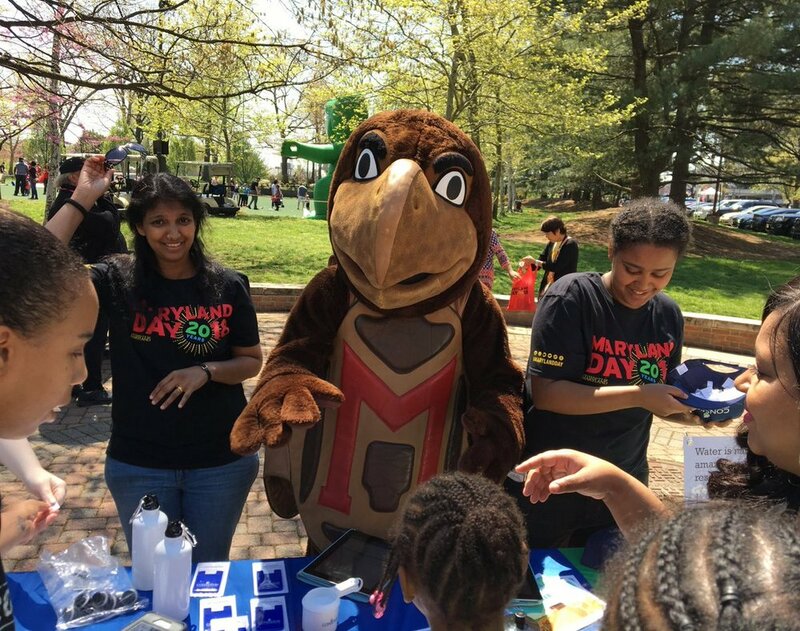 Join CONSERVE as part of the University of Maryland, School of Public Health Maryland Day effort. Enjoy fun and educational opportunities for adults and children of all ages. The Maryland Institute for Applied Environmental Health within the University of Maryland, School of Public Health is seeking a highly motivated individual for the grants and contracts funded post of Postdoctoral Fellow. This individual will join our USDA NIFA-funded Center, “CONSERVE: A Center of Excellence at the Nexus of Sustainable Water Reuse, Food and Health.” The long‐term goal of CONSERVE is to facilitate the adoption of transformative on‐farm treatment solutions that enable the safe use of nontraditional irrigation water (e.g. recycled water, surface water, return flows) on food crops. Qualifications: Applicants must possess a PhD in the life sciences or environmental engineering (e.g. Environmental Health Sciences, Microbiology, Molecular Biology, Microbial Ecology, Food Safety, Plant Sciences, Environmental Engineering, or Related Field). In addition to the degree, applicants should have at least two years of laboratory or field experience (at the pre-doctoral level) in microbiology and/or environmental science/engineering techniques, excellent organizational and communication skills (oral and written), and enthusiasm for multidisciplinary collaborations. The ideal candidate will have a combination of microbiology and either environmental science or engineering skills; and experience conducting field and laboratory studies focused on microbial water quality, filtration and sampling methodologies. The candidate also must be able to work outside and lift up to 20 lbs without assistance during field sampling events. Responsibilities: The successful candidate will work within the CONSERVE Center of Excellence under the direction of Dr. Manan Sharma at the Environmental Microbial and Food Safety Laboratory (EMFSL) of the U.S. Department of Agriculture, Agricultural Research Service (USDA-ARS). Specifically, the candidate will focus on improving nontraditional irrigation water quality by filtration through zero-valent iron and sand filters. These filters will be designed for small-scale, diversified farms that seek to use surface waters (pond, creek, lake, river) or recycled water (treated municipal wastewater, vegetable processing water) as irrigation sources. This work will be carried out in collaboration with the University of Maryland and University of Delaware CONSERVE partners. The successful candidate will also have the opportunity to hone their leadership and grant-writing skills by developing and directing pilot studies leveraging off of the work of CONSERVE and using the data generated in this work to develop grant proposals. Academic Environment: The Maryland Institute for Applied Environmental Health is a part of the University of Maryland, School of Public Health, located on the College Park campus. The School offers course work, practical experiences, and research opportunities leading to Bachelor of Science degrees, a variety of Master’s degrees including the Masters in Public Health degree, and Ph.D. degrees. The University of Maryland is a Research Extensive University. College Park is the flagship campus of the University of Maryland System with over 2,500 faculty, 25,000 undergraduate students and 10,000 graduate students. The campus is ideally situated on a metro line that serves the Washington, DC area and is in close proximity to many federal institutes/agencies and departments including DHHS (NIH, NCI, FDA) and USDA. For more details, please visit our website at http://www.sph.umd.edu. The USDA ARS EMFSL laboratory is located in Beltsville MD, about 6 miles north of the University of Maryland, and is part of the Northeast Area, Beltsville Agricultural Research Center. The focus of the laboratory, in addition to CONSERVE-related objectives, is to investigate pre-and post-harvest routes of contamination of foodborne pathogens on fruit and vegetable commodities. Salary and appointment date: This is a grant-funded position with 1 year of funding available and a multi-year duration possible, contingent upon satisfactory performance and continued funding. It will be a non-tenure-track staff position with an annual salary of $45,000 to $50,000 depending on qualifications. Applications: To apply, please go to https://ejobs.umd.edu/postings/58563 and submit 1) a CV, including your list of publications; 2) a cover letter including your experience and statement of research interests (1-2 pages); and 3) contact information for three references. Consideration of candidates will begin upon receipt of applications. Anticipated start date for the position is Late Spring/Early Summer 2018. For any questions relating to this position, please contact Dr. Manan Sharma, Manan.Sharma@ars.usda.gov. The University of Maryland is an equal opportunity and affirmative action employer dedicated to increasing the diversity of its faculty and administrators. We encourage applications from qualified individuals with varied experiences, perspectives and backgrounds. Applications from minority and women candidates are strongly encouraged. Some members of the CONSERVE team were in Cape Town, South Africa this week to share our work with over 800 attendees at the 3rd International Conference on Global Food Security. The conference was focused on exploring an integrated approach to identifying solutions to the complex global challenge of food security. Join the webinar to hear more about CONSERVE and our work! 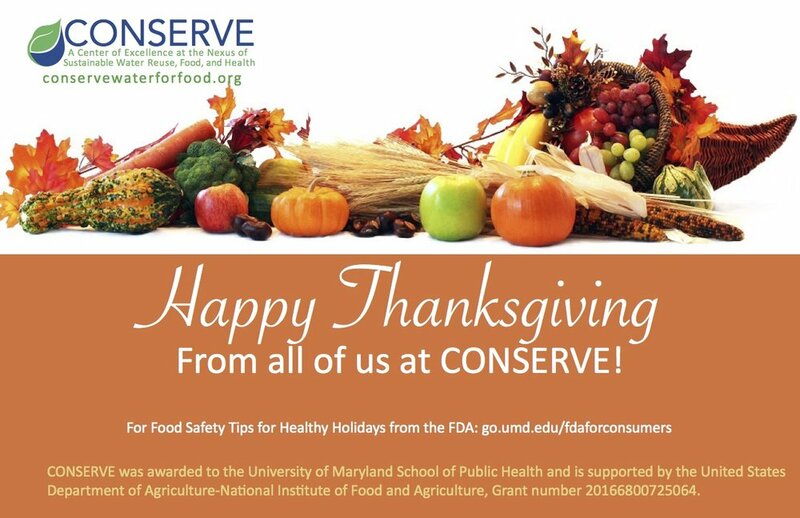 Happy Thanksgiving from all of us at CONSERVE! The CONSERVE Mid-Atlantic Team met for lunch at the Wye Research & Education Center in Queenstown, Maryland this week. Co-PDs, students, staff, and collaborators gathered for our annual lunch meeting to share project updates and discuss activities for the upcoming year. Co-PD Robert Percival of the University of Maryland Baltimore provided an update on the laws, regulations and policies surrounding nontraditional irrigation sources in different states across the US. The team is pictured here on the scenic grounds of the Wye REC.